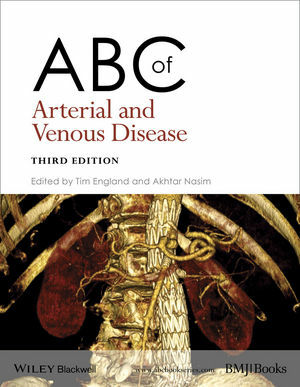 ABC of Arterial and Venous Disease provides a structured, practical approach to clinical assessment, investigation and management of the most commonly presenting arterial and venous disorders. Fully up to date and from an expert editor and contributor team, ABC of Arterial and Venous Disease remains a useful resource for non-specialist doctors such as general practitioners, family physicians and junior doctors in training. It is also a relevant guide for all other primary health care professionals working within the multidisciplinary teams responsible for patients with chronic arterial and venous disorders.